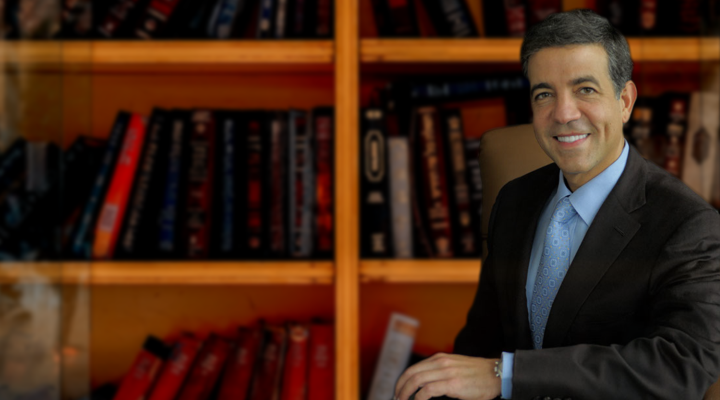 Dr. Alex Lechin is a pulmonologist and director at the Texas Institute of Chest & Sleep Disorders, located in Houston. He moved to the United States from Venezuela in 1978 to study at Southern Vermont College, where he received his Bachelor of Science degree. Dr. Lechin then returned to his native country and received his Doctor of Medicine (MD) degree from Central University of Venezuela in 1986, where he graduated 8th in his class. From there, he did a fellowship, which specialized in clinical pharmacology at the Experimental Medicine Institute of the Central University of Venezuela. In 1989, he returned to the United States and was an intern at the Department of Internal Medicine at North Carolina Baptist Hospital, which is a part of the Bowman Gray School of Medicine at Wake Forest University. Dr. Alex Lechin specialized in internal medicine and was there for a year before going to East Tennessee State University. While there, he did a residency focusing on internal medicine and was there until 1991. He then completed a clinical fellowship at Pulmonary, Critical Care and Sleep Medicine with Baylor College of Medicine. One of Dr. Lechin’s achievements is becoming chief resident of internal medicine at J. Quillen College of Medicine at East Tennessee State University. He was also a member of the Subspecialty Fellowship Committee, where he was a fellow representative for Baylor College of Medicine. Dr. Alex Lechin taught at several universities, including Emil Friedman School and Central University of Venezuela, as well as J. Quillen College of Medicine at East Tennessee State University. He has also worked as an assistant professor for several institutes of higher education and has published several papers that relate to lung health and sleep disorders. He also has several years of professional experience and has worked as the director for several hospitals around the Houston region. Some of the hospitals include The Specialty Hospital of Houston, Memorial Hospital Southeast, IHS Hospital, East Regional Medical Center, Memorial Hermann Southeast, Park Manor Nursing Home, and several others throughout the area. Dr. Alex Lechin has also worked with several hospitals around the country. Dr. Lechin has worked as an emergency room and receiving clinic physician for Mountain Home VA Hospital in Johnson City, Tennessee. He was also an attending physician at the City of Houston Tuberculosis and Chest Clinic at Ben Taub Hospital, and a flight physician for Methodist Hospital Aeromedical Service at Baylor College of Medicine. Dr. Lechin has been with the Texas Institute of Chest & Sleep Disorders since 1994. He is board certified in Sleep Medicine, Critical Care Medicine, Pulmonary Medicine, and Internal Medicine. In his free time, Dr. Alex Lechin loves to learn about the history of the world, reading, playing tennis, skiing, traveling, and spending time with his family. Dr. Lechin is the proud father of three children. His oldest two are attending college. His oldest daughter is studying Law at the University of Miami, and his youngest daughter is majoring in Arts and Psychology at the University of Houston. His son is currently in middle school. I never saw myself as anything but a doctor. My dad was a doctor, and my brothers and sisters are doctors. I don’t just enjoy practicing medicine, but I appreciate the rewards of helping people achieve excellent health. The medical profession cannot be compared to other fields, because you are always learning something new. No case is ever the same, so your mind is still at work, always learning. My patients trust me to do the right thing when it comes to their health and to me that is a great honor. I specialize in internal medicine, and I also have specialized in subspecialties such as critical care, pulmonary, and sleep medicine. These days, I focus more on critical care and sleep medicine, but I still do quite a bit of internal medicine. It’s just where I come from and how I learned. I could never treat a patient where I just saw them as a set of lungs and these days they already comply, so if there is something that I can do to convey some other ideas to treat the patient and they follow it, then it can be a beautiful thing. My daily routine starts when I wake up in the morning at around 5 a.m. Then I get ready to do my rounds with patients I see in the ICU and with those who I am consulting. Once I finish working the floors and checking on patients, I then head to my office, where I begin seeing those patients for that day at around 10:30 a.m. Sometimes we meet for lunch and then from 2 p.m., the medical students will do lessons because as you know, I am also a professor at Baylor, so I am always in contact with medical students and residents. Many of them participate in the Baylor School of Medicine summer programs where I teach. So, I always have somebody with me, showing him or her the ropes. We are seeing patients and when we finish I work on any scheduled surgeries. From there, I will check on patients of mine who are recovering from surgery or consult new patients. When I get home, I am always researching things, communicating with others and collecting articles, or I am writing a report. When I am finally done, it’s usually around a quarter to eight in the evening, and then I relax by reading a book. I also try to find time to spend with my kids and stay healthy. I will work out around 25 minutes in the morning and then in the evenings, I work on weights. I don’t do it to have the perfect body, but to keep as healthy as possible. On the weekends, I spend time with my kids and do things that I enjoy. I love learning everything about the science behind medicine and how there is always something new coming along to help with better treatment options for our patients. There is also technology, which sometimes can get to become a little much, because you are always learning to keep up with things. We need to have the abilities to learn more, especially with all the advancements in medicine. We are quick to interact with our patients and that is why I want the most when it comes to learning these things. People come in trusting me with their health. When I go home every night knowing that I have done something to make their lives a lot better, it is one of the things that has kept me going in my profession. I also like seeing the new generation of doctors coming in and learning all they can, and I love everything about it. I’ve never looked at what I did or what I do as breaking a single goal. Honestly, it was probably when I grew my practice over the first six to seven years on my own. I was able to make my own decisions to help my patients without the stresses of working under another practice. So, for me, my greatest accomplishment was being able to start my private practice and build it from the ground up. I am not out there trying to be the best of the best, but I am going in there and taking care of every one of my patients. Seeing their gratitude leaves me with a great feeling knowing that I was able to help them. You know, medical-wise, we do an excellent job at trying to help those with medical needs who can and cannot afford services. So, there is a percentage of the people I see in my practice that I do not charge for services, which in many ways is charitable. To me, it is essential to receive the best medical care and the right medications and if you cannot afford it, then that shouldn’t stop a patient from seeking treatment. I am about helping the patients achieve the best health possible. I have also helped with setting up non-profit clinics and that has been ongoing. [These include] UNESCO, the Institute of Hispanic Culture, and the Latin Women Initiative that has dealt with breast cancer. I have also worked with an institution for music and art which is located in Houston and helps with scholarships for talented young musicians. Those are just a few of the ways I volunteer and help my community. While I love feeling connected to my job and all the research that is involved, sometimes there are moments where we all need a break. I like to travel a lot and do things like skiing, playing tennis, and spending time with my kids. I also drift away with a good book, listen to an audiobook in the car on the way to and from work, and watch a great action film with my son when we get a chance to spend time together. My daughters as you know are in college, so, when they come home on breaks and holidays, I do a lot of things to spend time with them as well. When I am doing these things during the weekends, I don’t like to think about anything else besides what I am doing to relax and take time away from all the stresses that can come with my job. By the time I head back to work on Monday, my mind is refreshed and I am ready to help my patients to the best of my abilities.